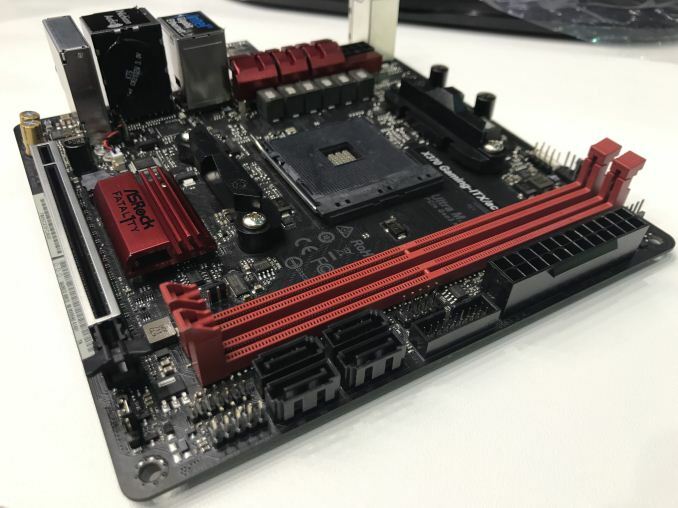 ASRock has introduced a miniature motherboard for AMD Ryzen microprocessors, one of a few such motherboards in the industry. Despite being very small, the X370 Gaming ITX/ac offers everything that a fairly powerful gaming system might require and its price is not too high. The ASRock X370 Gaming ITX/ac is based on the AMD X370 chipset and supports all currently available processors in the AM4 form-factor, including A-series APUs as well as all Ryzen CPUs. The motherboard has a digital eight-phase VRM for the CPU designed to guarantee clean power supply (stability, overclocking potential, etc.). According to ASRock, the mainboard can handle DDR4-3200+ memory (assuming that particular modules work well with AMD Ryzen processors). The new platform has two DIMM slots in total. Like many other motherboards in the Mini-ITX form-factor, the X370 Gaming ITX/ac has one PCIe 3.0 x16 slot, one M.2 slot for PCIe 3.0 x4 or SATA SSDs, as well as four SATA ports. Meanwhile in a light bit of irony, the mainboard uses GbE and 802.11ac Wi-Fi controllers from Intel. 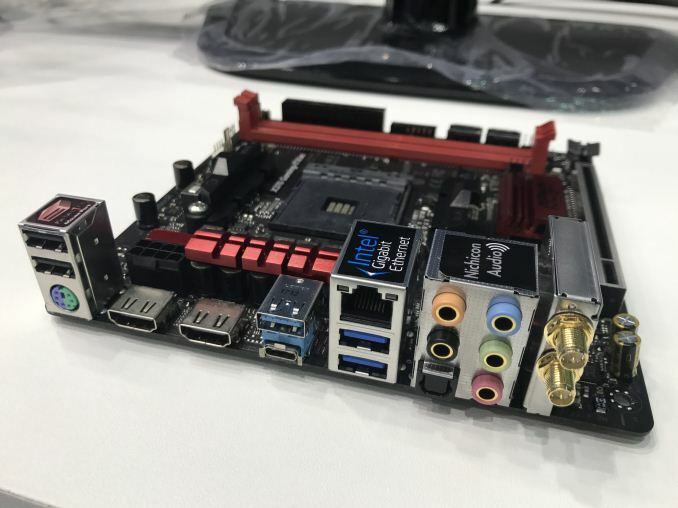 As for other I/O, everything seems to be pretty standard here: the motherboard has two HDMI outputs, five USB 2.0 ports, six USB 3.0 headers (including one Type-C) as well as a 7.1-channel audio powered by Realtek ALC1220 codec with Creative’s Sound Blaster Cinema 3 enhancing software. At present, the ASRock X370 Gaming ITX/ac has only one direct rival, the Biostar Racing X370GTN introduced earlier this year. The Racing X370GTN does not have Wi-Fi support, but it has two USB 3.1 Gen 2 (10 Gbps) headers, including one Type-C. Meanwhile, the X370 Gaming ITX/ac seems to have a more advanced VRM for those looking forward overclocking capabilities. The ASRock X370 Gaming ITX/ac will be available in the coming weeks for $150 – $160, according to the manufacturer. 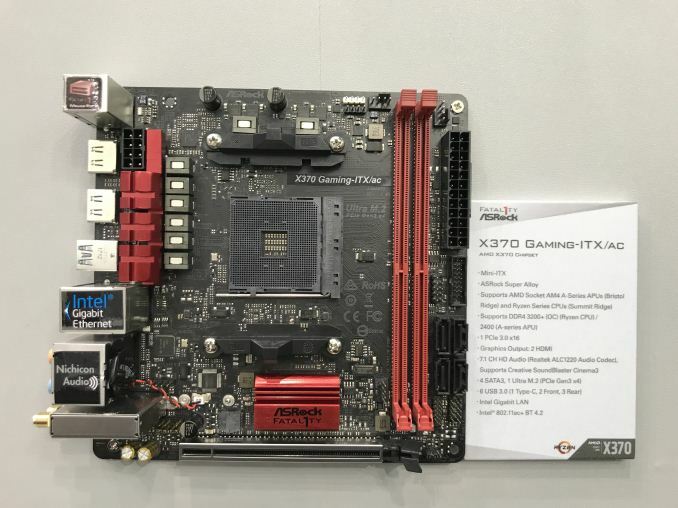 Keep in mind that since there are only two AMD X370-based Mini-ITX motherboards announced so far and small form-factor systems are gaining traction, demand for the X370 Gaming ITX/ac will be very high. That said, don't be surprised if there's some overpricing from select retailers.